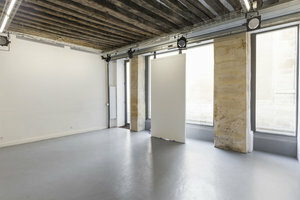 This amazing 100 sq m gallery and retail space in Haut Marais is perfect for Art Exhibitions, Showrooms and Pop-Up Stores. 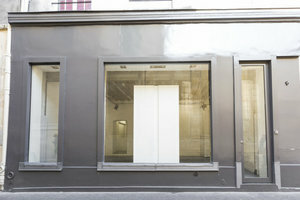 The space has a modern and sophisticated frontage finished in dark gray with double display windows. The interiors of the space are classic with white walls, wooden floors and adjustable spotlights, ideal for showcasing new products. 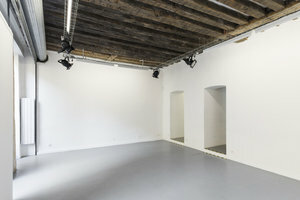 The gallery space has a sophisticated atmosphere and a range of facilities making it well-equipped for retail. 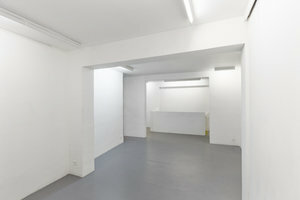 Located close the busy streets of Rue de Turenne, and Rue Vieille du Temple, this space offers artists and brands an opportunity to gain exposure in an arty environment.